Region 4A completes SBP 3×3 U16 three-peat; Pangasinan wins girls title – SAMAHANG BASKETBOL NG PILIPINAS INC. 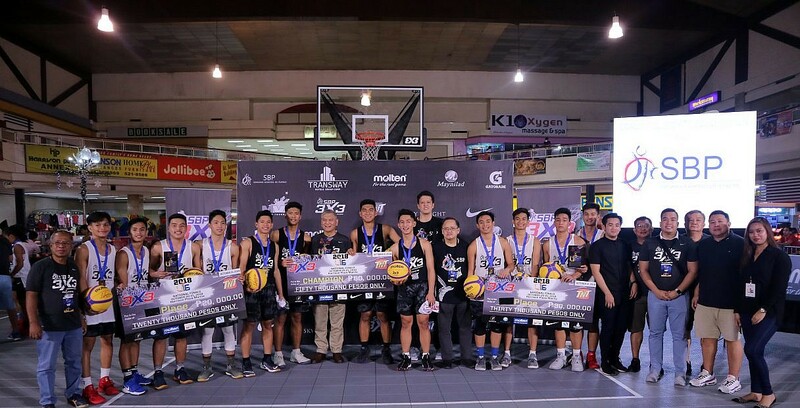 Region 4, representing the provinces of Batangas, Cavite, Laguna, Quezon, and Rizal, bagged their third consecutive Samahang Basketbol ng Pilipinas Under-16 Pambansang Tatluhan at the Harrison Plaza in Manila last night, October 21. Region 4A’s Ley Acosta hit the game-ending triple with 1:52 to play, 21-16, dispatching tough Region 11 from Davao City for an incredible three-peat in the annual age-group 3×3 competition. The balanced inside and out game with Twin Towers Jan Rae Atienza and Jan Derick Villarez and the sweet shooting of Ley Acosta was more than enough to hold off a Davao squad that was led by John Rey Pasaol, the younger brother of University of the East star, Alvin Pasaol, and the undersized Wilfred Remollo. The championship match was close with neither side giving any quarter until Villarez scored four straight points – all off lay-ups and putbacks – to break a 12-all tie and put Region 4A in a position for the win. But Pasaol, just like his brother routinely does with UE in the UAAP, brought his team back as he scored three of four Davao points to tie the match one last time at 16-all. A shot clock violation and a miscue where Davao failed to clear the ball was costly as Acosta drilled a triple and Villarez scored inside. Acosta then found himself wide open for the game-winning triple. On his part, Region 4A’s Jan Derick Villarez also credited the win to two of his three other teammates who are all with him playing for Lyceum of the Philippines University Laguna. “Malaking tulong na kami nila Acosta and Darrell Capaceta mag-teammate na. Alam namin ang bawat galaw namin.” The other player of the winning R4A team not with LPU’s Laguna program is Atienza who plays for Stonyhurst Southville International School. In the Girls’ bracket, the girls of Region 10 representing Cagayan De Oro stopped cold the hot-shooting Charity Grace Gicana who carried her Region 6 (Bacolod) team in the two-day competition. Early in the game, it seemed that Pangasinan would lose Cheska Apag who was cramping up. Zareno was a tower inside for her side while teammate Aloha Marie Betanio sizzled from the outside and made teams pay for her interior incursions. Incredibly, Apag returned, scored inside after which Betanio strung up four straight points to give her side a huge 10-6 lead. With Gicana unable to find the bottom of the net, Bacolod floundered badly as CDO ran away with the title, 16-6. Summarizing the podium finishes in the boys division, Region 4A bagged first place, Region 11 finished second while NCR North finished third. Over the girls’ division, Region 10 reigned supreme while Region 6 and Region 1 finished second and third respectively.